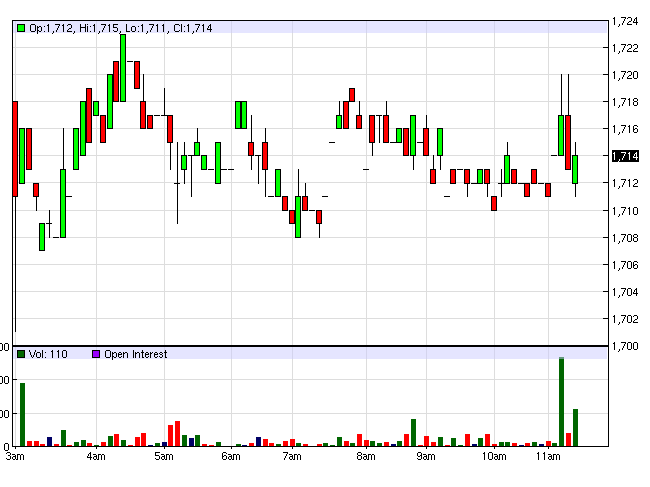 On the ICE Futures Europe floor, Robusta coffee price slump reversed. September futures for immediate delivery fell 9 USD, equivalent to 0.53%, down to $ 1,704 / ton, delivery period in November fell 11 US dollars, equivalent to 0.64%, and $ 1,715 / ton and delivery period 1/2016 March fell 12 US dollars, equivalent to 0.69%, while the $ 1,731 / ton, relatively light losses. The trading volume was below average. Similarly, on the floor ICE Futures US, arabica coffee price slump reversed. Spot futures down 2.75 cents in September, which fell 2% to 134.75 cents / lb, delivered December futures fell 2.6 cents, or 1.84% decrease, while 138.55 cents / lb and delivery month futures fell 2.55 cents 3/2016, which fell 1.76% and 141.95 cents / lb, very significant reductions. Trading volume maintain very high on average. The market continued to express concern that the extra low output forecast of Brazil while the USD remained high in the basket of currencies was the drag rise of coffee processing at this time. International coffee prices fell by speculators continue divestments and transfer of investment channels for seeking profits in the markets are more attractive after falling price of RMB stalling. Coffee export company Terra Forte in Brazil report Arabica beans by size smaller so they remain forecast at 47.3 new crop million bags, so the overall supply shortage of new services 5 million bags if you retain the export volume of Arabica as 12 months. They also estimated carryover stocks combined have only about 4.6 million service cover, lower than the previous season. According to the preliminary report of the General Department of Vietnam Customs, exports reached 107,140 in July coffee tons, up 2.8% from the previous month and decreased by 16.1% compared with July last year. Accumulated 7 months in coffee exports reached 786,493 tonnes, down 34.3% from the same period last year. Vietnam market is expected to boost coffee exports, mainly Robusta, in nearly two months left before the harvest to receive the new service coffee and especially after the government extended exchange Rate by 2% in order to promote exports. Some local traders in Highland said that current prices are not attractive enough to them selling out whether the new crop will not be much longer, and the ability to survive into next season goods also unavoidable if the price is still not much improvement.